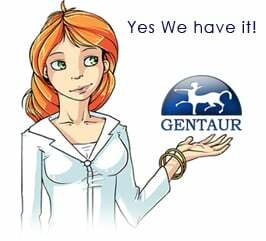 Gentaur antibody-antibodies.com The Marketplace for Antibodies : Cloning and sequencing of the cytoplasmic precursor to the alpha subunit of rat liver mitochondrial succinyl-CoA synthetase. Cloning and sequencing of the cytoplasmic precursor to the alpha subunit of rat liver mitochondrial succinyl-CoA synthetase. Succinyl-CoA synthetase [succinate-CoA ligase (GDP-forming); EC 6.2.1.4] of rat liver, an alpha beta dimer, is a component of the enzymology of the tricarboxylic acid cycle and functions within the mitochondrial matrix. We have isolated and determined the sequence of a cDNA clone containing the coding sequence of the cytoplasmic precursor to the alpha subunit of this enzyme together with stretches of nontranslated sequence at the 5' and 3' ends. The translated amino acid sequence indicates the presence of a 27-residue N-terminal signal sequence for mitochondrial targeting. The amino acid sequence of the mature alpha subunit shows an extraordinary degree of homology to the alpha subunit of Escherichia coli succinyl-CoA synthetase, with greater than 70% of the residues identical. This suggests that the fundamental differences in the quaternary structures and catalytic functions of the mammalian and bacterial enzymes must be attributable to differences in the beta subunits. mRNA that hybridizes to the cloned DNA is approximately equal to 1800 nucleotide residues in length, confirming that each of the two subunits is encoded separately and does not arise by proteolysis of a primary gene product containing both subunits of the mature protein.